Israeli settlers have badly wounded a Palestinian man during an attack in the occupied West Bank city of Nablus, Press TV reports . The attack took place in the village of Qusra, north of Nablus, on Sunday when at least nine Israeli settlers beat Aqram Teser Oder. Oder’s arm was broken and one of his eyes was blinded during the attack. “Around six o’clock I went to my land… nine settlers then came and told me to leave, I told them no and that they should leave, one word led to another, they started throwing rocks at me,” Oder told Press TV while receiving treatment at Rafidia hospital. In another incident in the same day, 30 settlers stormed Qusra village and injured 15 villagers and destroyed olive trees as well as water wells. 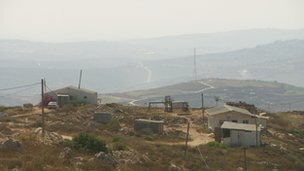 Qusra lies near several illegal Israeli settlements and outposts and is the site of regular assaults by their residents. Clashes between Palestinians and Israeli settlers erupted following the attack. Soon after the clashes, Israeli soldiers entered the village and attacked the Palestinians with tear gas and rubber bullets. In recent years, extremist Israeli settlers in the occupied territories have often assaulted Palestinians and vandalized their property under the so-called “price tag” policy. However, the Tel Aviv regime rarely detains the assailants. The extremists say the price tag attacks are carried out against any Israeli policy to reduce the presence of settlers and settlements on occupied Palestinian land in the West Bank and East al-Quds. 2. Kunt u bevestigen dat Bahrein 156 van de 176 aanbevelingen van de Universal Periodic Review van de Mensenrechtenraad van de Verenigde Naties geheel of gedeeltelijk heeft aangenomen? Is eveneens de aanbeveling om het statuut van Rome van het Internationaal Strafhof te ratificeren, aangenomen? Indien neen, wat is dan de stand van zaken betreffende de aangenomen aanbevelingen? 3. Bent u bekend met de inhoud van het persbericht van Amnesty International over de begin deze maand veroordeelde oppositieleden in Bahrein? Deelt u de opvatting van Amnesty International dat de betreffende individuen zijn veroordeeld ‘solely for peacefully exercising their human rights’? Indien neen, waarom niet? Deelt u verder de opvatting van Amnesty International dat in Bahrein ‘little has been done on the ground to ensure accountability and true justice for victims of human rights abuses’? (2) Indien neen, waarom niet? Kunt u uw antwoord toelichten? 4. Hebt u kennis genomen van de conclusie van het rapport van eind vorig jaar van de Bahrain Independent Commission of Inquiry dat tijdens de opstanden in het land ‘many detainees were subjected to torture and other forms of physical and psychological abuse while in custody’? Hoe beoordeelt u de implementatie door Bahrein van de aanbeveling in het rapport ‘to establish a national independent and impartial mechanism to determine the accountability of those in government who have committed unlawful or negligent acts resulting in the deaths, torture and mistreatment of civilians with a view to bringing legal and disciplinary action against such individuals, including those in the chain of command, military and civilian, who are found to be responsible under international standards of “superior responsibility”‘? (3) Kunt u uw antwoord toelichten? 5. Bent u verder bekend met de bevinding uit het rapport van Physicians for Human Rights over het gebruik van traangas door de Bahreinse autoriteiten dat ‘it is clear that the Bahraini security forces are wielding [toxic chemical agents] as weapons not just to disperse crowds but to wound, harm, harass, and intimidate the largely Shi’a neighborhoods that are home to many protesters, in violation of UN protocols for the use of force’? Kunt u bevestigen of door het gebruik van traangas door de Bahreinse autoriteiten ook doden zijn gevallen? Deelt u de aanbeveling van Physicians for Human Rights aan Bahrein ‘to suspend its use of tear gas while it conducts an impartial investigation of tear gas misuse and holds accountable those who have used the gas in excessive or improper ways’? (4) Indien neen, waarom niet? Kunt u uw antwoord toelichten? 6. Bent u bereid om uw Bahreinse collega’s aan te spreken op de bij vraag 3, 4 en 5 genoemde kwesties, bij voorkeur tijdens de aankomende bijeenkomst van de Mensenrechtenraad waar de Universal Periodic Review over Bahrein besproken wordt? Indien neen, waarom niet? 7. Bent u tevens bereid binnen de Mensenrechtenraad aan te dringen op een speciale sessie van de Mensenrechtenraad over Bahrein? Indien neen, waarom niet? 1. Bahrain approves UN rights recommendations, http://gulfnews.com/news/gulf/bahrain/bahrain-approves-un-rights-recommendations-1.1074004 , 13 september 2012. 2. Bahrain must free prisoners of conscience after outrageous verdict, http://www.amnesty.org/en/news/bahrain-must-overturn-outrageous-verdict-prisoners-conscience-2012-09-04 , 4 september 2012. 3. Report of the Bahrain Independent Commission of Inquiry, http://www.bici.org.bh/ , november 2011. 4. Weaponizing Tear Gas, Bahrain’s Unprecedented Use of Toxic Chemical Agents Against Civilians, http : //physiciansforhumanrights.org/library/reports/weaponizing-tear-gas.html , augustus 2012. On Monday, al-Barq entered his 119th day on hunger strike. RAMALLAH (Ma’an) — Palestinian prisoner Samer al-Barq was hospitalized on Monday as he entered his 119th day on hunger strike, a lawyer said. Jawad Boulos of the Palestinian prisoners society told Ma’an that al-Barq was taken to a civilian hospital in central Israel after collapsing in Ramla prison clinic. Doctors at the clinic could not deal with al-Barq’s health condition and he was transferred by ambulance to Assaf Harofeh medical center. Al-Barq had stopped drinking water or taking intravenous fluids, Boulos said. Minister of Prisoners Affairs Issa Qaraqe told Ma’an on Sunday that Israel had agreed to al-Barq’s request to be deported to Egypt. No date has been set for the arrangement to be carried out, Qaraqe added, noting that al-Barq will not end his hunger strike action until the agreement is finalized. He has been detained without charge or trial since July 2010. He ended a month-long hunger strike in May after Israel agreed to address the issue of administrative detention and resumed his hunger strike a week later when Israel renewed his detention without charge or trial. The European Union foreign policy chief Catherine Ashton on Friday called on Israel to “do all it can to preserve the health” of Palestinian hunger strikers in Israeli jails. In addition to al-Barq, Hassan Safadi has been on renewed hunger strike for 89 days and Ayman Sharawna has refused food for 79 days. The International Committee of the Red Cross warned on Friday that the hunger strikers were in a critical condition, and urged a prompt solution. But on the streets of Arab East Jerusalem, some young Jewish people are up to more than just graffiti. They are part of what has become known as “price-tag gangs” and they are risking their safety to send a very political message. Israeli homes built on occupied land are illegal according to international law, though Israel disputes this. Israel regards the West Bank as territory whose final status is yet to be determined and has built 120 settlements here – around 300,000 Israelis now live in the West Bank, excluding East Jerusalem. The hills are the battle ground for the hilltop youth – price tagging is their calling card and they have sworn to sacrifice all to prevent this land being given to the Palestinians. She slashed open sacks of building materials, cars were sprayed with graffiti saying “revenge” and insulting the Prophet Muhammad. The Israeli government’s move to label some of the price-taggers’ behaviour as acts of terrorism does not faze her. Graffiti is not the only hallmark of the price-tagger. There has been violence and intimidation: Arab cars have been hit by petrol bombs and people seriously injured. Security cameras caught the torching of trucks in Palestinian villages and – perhaps most worrying for the security situation – there have been arson attacks on mosques in the West Bank and Israel. Israel’s security forces are increasingly caught in the middle and the army has become a target of the hilltop youth as tensions rise. One of the few price-taggers caught and successfully prosecuted is Alex Ostrovsky, 27, who was imprisoned for damaging vehicles in a military base. He is blunt in his view of his country’s security forces and police who carry out the demolition of illegal outposts. For the Palestinians, the continuing growth of the settlements – 50,000 new residents in the last three years – remains the biggest stumbling block. Interview with Ken O’Keefe, former US marine and activist for Palestine, London. The plight of the Palestinians once again calls our attention to the collective punishment, torture and post traumatic stress disorder of an innocent people under sanctioned occupation. Press TV in its program Remember Palestine has interviewed Ken O’Keefe, former US marine and activist for Palestine in London who is set to embark on a hunger strike himself in solidarity with the Palestinians. Ken talks about the human suffering and in his words, “a stain on human conscience” that is life for the many children and people of Palestine under brutal occupation by Israel. What follows is an approximate transcript of the interview. Press TV: Having visited Gaza during the time of siege, what were some of your longer lasting memories from the place? O’Keefe: Well, I became very close to the Sanumi family, they aren’t the only family I came to know closely, but nonetheless the experiences of the children is in very, very extreme terms a tremendous stain on the conscience of humanity that we have allowed 800,000 plus children now to endure over five years of what can only be considered one barbaric sort of siege, which subjects all of these people to a collective punishment policy. And as your previous guest was discussing, basically every single person in Gaza is suffering from post traumatic stress disorder and the most affected of course are the children. To see children in Gaza is simply amazing, I mean, they are all over the place, there is children everywhere. And so it is impossible to ignore the fact that the biggest victim of these policies is in fact the children. Press TV: So you have a situation where access to clean water is deteriorating; access to food, there’s instability there; and there is of course the constant threat of there being continued actions from the Israelis. I mean, this must be a living nightmare. O’Keefe: It really is. And because the situation is so bad and has been so bad I find it really important for us to stop focusing so much on the problem itself and what it is that we can do and in fact compelling the sorts of changes that need to occur for anything to actually significantly improve for the better. Number one first off, Israel… is Isreal. Israel does what it does. In all honesty it’s very clear that the Palestinians might as well be dogs. They are not considered as equal human beings in any stretch. And we know a lot about the sorts of things like rabbis going in and whipping up soldiers before they went into Gaza and started slaughtering people – there are copious amounts of evidence about that. So for us to expect the Israeli power structure to change is foolish. So now that we know that Israel isn’t going to change, what can we do? The first thing I see right now is, the first task at hand is… now we don’t have Mubarak in Egypt any longer, this is the Muslim Brotherhood. The Muslim Brotherhood, if it is to honor itself and its religion, if it is to do anything in any way to indicate that it’s nothing more than a continuation of the Mubarak regime, then Rafah needs to be opened. Absolutely now. It needs to be opened and trade needs to be established – fair trade needs to be established because at the end of the day the ‘aid industry’ as I call it is not the answer. People cannot lead a dignified life while they are reliant on hand outs. And the only way that the Palestinians will be able to exercise their real ability to be self determined is by having access to markets abroad, to be able to import and export, to be able to bring in the raw materials required to rebuild and for instance build desalination plants and other things, fixing the sewerage system and all of this stuff. Gaza will be like a phoenix rising from the ashes once they are able to do this. We must make that happen one way or the other. Press TV: You’ll be embarking on a hunger strike – I hope you don’t mind me bringing that up in this forum. Why are you doing this and what are you hoping to achieve? O’Keefe: The family members of the hunger strikers have called today for people to enter into a hunger strike in solidarity or conduct actions that will spread the word about what is going to happen to these hunger strikers. They are going to die. In the next few weeks surely they are going to die. Now, if that has to happen let us make sure that Israel pays for that quite dearly by the raising of consciousness to such a level that it will never happen again. What we saw in Ireland is the power of Bobby Sands and many other hunger strikers who were very much in tandem with what we are experiencing now. I’ve met dozens and dozens and dozens of prisoners in Gaza and in the West Bank. Every single one of them has been tortured. So, every single one of those prisoners is being tortured right now. This has to end, it’s not acceptable and I believe that we as people have the power if we truly wish to exercise it to change the situation. But we’ve got to be willing to take some serious steps and be willing to sacrifice something significant if we are really that serious. Press TV: Is it going to make a difference? O’Keefe: You know what, at the end of the day I’m not doing what I do for any expectation. All I know is that if I sit by and do nothing or if I do very little I’m not honoring myself and I’m not actually being true to what I know and that is that every single human being on this planet is a brother or sister even though many of them are acting like absolute psychopaths. We are all brothers and sisters and the Palestinian people are my family. Now, if I saw my family, say for instance my mother and my father in that kind of suffering and I didn’t do anything about it, would I have any ability to respect myself? Absolutely not. But I don’t look at just my mother and my father and my brother and sister in blood terms as my family I look at the Palestinians as my family. And if you see them that way then you are compelled to do more. I do believe there will be justice however; I’m not even concerned about peace, I want justice and I believe the path to justice is through the truth and there are too many lies out there right now. When we understand the truth – and many of us do – it’s time for us to act and effect the justice that is required for any kind of peace worth having, to exist. Press TV: When you speak with the families of those who have been incarcerated, been locked up, been tortured, what do they tell you about how they suffer and if they appreciate that additional light that’s been shone on the situation? O’Keefe: As your previous guest also mentioned, the resiliency of the people is absolutely astounding. What they’re dealing with I think would just crush most of us in the West. We are so used to a comfortable lifestyle, comparatively comfortable lifestyle, that the kinds of trials and tribulations that these people have to endure on an everyday basis are just simply astounding. And the resilience of these people is amazing. What I always… what strikes me more than anything else about the Palestinian people is that a guy like me born and raised in the United States, served in the marine corp, was in a war… I walked the streets of Gaza for six months I walked those streets and I was taken care of, I was looked after and the hospitality and generosity of the people – despite that fact that my birth nation is causing more suffering for them than virtually any other nation because without my birth nation Israel couldn’t possibly get away with what it is getting away with. And this brings it back to the American people. Press TV: Ken, best of luck. Het heeft volgens de media al het leven gekost aan een aantal mensen, waaronder de Amerikaanse ambassadeur in Libië, Chris Stevens. Overigens worden de geluiden steeds sterker, dat reeds twee dagen van tevoren in Washington bekend was, dat er iets stond te gebeuren in het Midden-Oosten, met name in Libië. De vraag zal zich binnenkort wel aandienen, waarom de ambassadeur dood moest. Een gerichte aanval is geen “collateral damage”. Het was al vreemd, dat er weer zo mistig werd gedaan over wie die aanslag had gepleegd voordat het beruchte filmpje als oorzaak werd gebombardeerd, maar de berichten worden met de dag tegenstrijdiger. Er is in Benghazi géén ambassade, consulaat of vertegenwoordiging van de Verenigde Staten. Op 27 augustus is de US Embassy in TRIPOLI geopend. Mits iemand dit kan tegenspreken, kloppen de berichten dus van geen kant. Komen we dus weer terug op wat we ons gisteren al afvroegen: WAAROM moest Chris Stevens dood? Alleen de goedgelovige sukkels onder ons zweren bij toevalligheden en gelukstreffers, het liefst in combinatie en sommigen bewijzen dat ook hier iedere dag weer opnieuw. Wij geloven daar niet in. Chris Stevens was een enthousiast internationaal bereisd man en geloofde in zijn missie. Ieder heeft recht op zijn beleving. Maar misschien wist hij inmiddels iets wat de wereld niet mocht weten. Het zou misschien iets te maken kunnen hebben met Ghadaffi of diens zoon, die maar niet wordt uitgeleverd, hetgeen merkwaardig genoemd mag worden. Of we ooit het ware verhaal te horen krijgen is zeer twijfelachtig. In ieder geval is het zeker, dat wat ons wordt voorgezet niet te pruimen is. Als Al-Qaeda die moord op zijn geweten heeft, mogen we rustig noteren, dat de CIA c.s achter de operatie zit. Al-Qaeda is een CIA/MI6/Mossad operatie. De speciaal opgerichte terreurtak om moslims op straat te krijgen en Westerlingen aan de TV gekluisterd. Al-Qaeda is 100% gecontroleerd door de inlichtingendiensten. De club hielp Ghadaffi verdrijven en is nu aan het vechten tegen Assad in Syrië. Maar WIJ moeten en zullen geloven, dat het fanatieke islamisten zijn en ons allemaal dood willen hebben – hou toch op! Met dat filmpje, de maker en de financiers klopt het dus van geen kant. Met de aanslag in Libië klopt het dus óók van geen kant. Hoeveel fanatieke, wilde en idiote moslims (als we de media volgen in de propaganda) hebben we nu op straat mogen signaleren? In Amsterdam waren het er 100 man, dus dat viel weer reuze mee. Deze media-operatie gaat net zo hard door de mand vallen als het geëxplodeerde busje in Bulgarije. Ondertussen staat de wereld stijf van berichten over rellen, ambassades, brandstichtingen, opstootjes, onthoofdingen, verkrachtingen, sharia ook in Europa, etc. Waar je niet zo veel over hoort is de donatie van ons (EU) aan de moslim broeders in Egypte van, om maar bescheiden te beginnen, € 1 miljard! Hoor je weinig over, want het komt niet op TV, dus” zal het wel niet zo zijn”. Ondertussen hebben de Amerikanen drie Carrier-squadrons in de Perzische Golf aan het “oefenen”. Eén van de grootste vlootconcentraties sinds de Tweede Wereldoorlog als “sitting duck” in een binnenzee. We zoeken nog even uit of de USS Enterprise daar tussen zit, die moet namelijk worden gesloopt en dat was met het World Trade Center ook zo. Een aanslag is goedkoper en levert vele malen meer op: OORLOG = GELD VERDIENEN. En Israël heeft vrijwel alle gevechtseenheden gemobiliseerd. En dat allemaal omdat de moslim wereld in brand zou staan? Here gathered youth active, live in the Gaza Strip in Palestine, we’ve got the idea when we drink morning coffee in one of the cafes, if a child enters the cafe and asked aid those who are inside the cafe, and when we received we asked him about his life and his family and their living conditions, but we were surprised that this child and his other brothers go out every morning to collect a sum of money to provide a living day and all can drop off a day no more than the equivalent of $ 10, we asked ourselves: Is $ 10 cover the daily needs of a family of 5 people??? We decided to spread across the sector and visit these families and see the nature of their lives and prepare a list of poor families and we asked also of brothers to us in the West Bank as well, in the hopes of helping them and put them on the first step of a decent life by covering what they need and the exploitation of the labor force that they own in the interest of the community until it returns them to income and can live in dignity and to protect themselves from persecution who are exposed to it by virtue of poverty in which they live. . The contribution in anything that will cover the needs of the poor, two or a family, and will create jobs for the poor or of two or more during some of the projects that would evaluate here, get these families on the material return can cover its needs through. – Project to create jobs through the establishment of small-profit ventures benefiting poor families, and benefit society through operation of labor that they own. – Restoration Project homes of poor families that need it, and suffer owners harsh cold or heat. – The food basket project: where food baskets will be distributed to all needy families fill their need and depending on the number of members of each family. – Sacrifice project where we will buy sacrificial animals and distribute the meat to all families in the Eid al-Adha. – Project clothe children on holidays and bring joy and happiness to the children of these families. – The draft provision of school requirements at the beginning of each school year for all the children of poor families through the provision of school bags for each student, that the bag contains all what the student needs Stationery uniforms. – Project to help university students from the children of needy families in tuition fees in order to ensure them access to university degree in the hope of getting a job helping families and covering their basic needs through. – Project to create job opportunities for graduates in the hope of reducing the unemployment rate in the Palestinian society. Your trust in us is our motivation to work on the eradication of poverty and unemployment as much as possible, and will publish the events that we do firsthand on our social networking site Facebook, and we promise you that you will rejoice when you see it because of what you have done for these poor people. .
Great confidence you .. Always remember that someone less happy than you have. قررنا الانتشار في جميع أنحاء القطاع وزيارة تلك العائلات والإطلاع على طبيعة حياتهم وإعداد قائمة بأسماء العائلات الفقيرة وطلبنا ذلك أيضا من إخوان لنا في الضفة الغربية أيضاً ، وذلك أملا في مساعدتهم ووضعهم على خطوة أولى من الحياة الكريمة من خلال تغطية ما يحتاجون واستغلال القوى العاملة التي يمتلكونها في مصلحة المجتمع حتى يعود ذلك عليهم بالدخل ويستطيعون العيش بكرامة ويحمون أنفسهم من الاضطهاد الذي يتعرضون إليه بحكم الفقر الذي يعيشونه. .
إن مساهمتكم في أي شيء سوف تغطي احتياجات فقير أو اثنين أو عائلة ، وسوف تخلق فرصة عمل لفقير أو اثنين أو أكثر من خلال بعض المشاريع التي سوف نقيمها هنا ، تحصل منها هذه العائلات على عائد مادي تستطيع أن تغطي احتياجاتها من خلاله. – مشروع خلق فرص عمل من خلال إقامة مشاريع ربحية صغيرة يستفيد منها الأسر الفقيرة ، ويفيدون بها المجتمع من خلال تشغيل الأيدي العاملة التي يملكونها . – مشروع ترميم منازل العائلات الفقيرة التي تحتاج إلى ذلك ، ويعاني أصحابها قسوة البرد أو الحرارة فيها . – مشروع السلة الغذائية : حيث سيتم توزيع سلة غذائية على كل عائلة محتاجة تسد حاجتها وذلك حسب عدد أفراد كل عائلة. – مشروع الأضحية حيث سنقوم بشراء الأضاحي وتوزيع اللحوم على كل عائلة في عيد الأضحى المبارك. – مشروع كساء الأطفال في الأعياد وإدخال البهجة والسرور على أطفال تلك العائلات . – مشروع توفير الاحتياجات المدرسية في بداية كل عام دراسي لجميع أبناء العائلات الفقيرة من خلال توفير حقيبة مدرسية لكل طالب ، تحتوي تلك الحقيبة على جميع ما يحتاجه الطالب من قرطاسيه وزي مدرسي . – مشروع مساعدة طلاب الجامعات من أبناء العائلات المحتاجة في تغطية الرسوم الدراسية بما يكفل لهم الحصول على الشهادة الجامعية أملا في حصولهم على وظيفة يساعدون أسرهم ويغطون احتياجاتهم الأساسية من خلالها . – مشروع خلق فرص عمل للخريجين أملا في التقليل من نسبة البطالة في المجتمع الفلسطيني . ثقتكم بنا هي دافعنا للعمل على القضاء على الفقر والبطالة بأقصى جهد ممكن ، وسننشر الفعاليات التي نقوم بها أول بأول على صفحتنا على موقع التواصل الاجتماعي فيسبوك، ونعدكم بأنكم سوف تفرحون عند رؤيتها نظرا لما فعلتموه من أجل هؤلاء الفقراء . .
ثقتنا بكم كبيرة .. وتذكر دائما أن أحدهم سعيد بأقل مما لديك . شعارنا هو ” الخير في القلب .. يعني فلسطين في القلب ” .